The winter season is a crucial time for my hair. Now more than ever, my scalp dries out and leaves embarrassing flakes and dandruff. While I use the colder seasons for wearing braids as a protective style, it becomes counterproductive by contributing to my hair flaking. Applying oils and braid sprays served as a temporary solution because by the next day, I’d have to apply more products. Before I knew it, There was an excess of products left in my hair, adding to the build-up that was already there. At about the two week mark, it’d be time to take my braids out because my scalp would be unbelievably dry, itchy, and dirty. I was in desperate need of a product that would reduce the flaking, and help retain moisture. To be honest, it was important for me to add something into my hair regimen so that I could continue to confidently wear braids throughout the winter season. I came across Mizani’s Scalp Care Calming Lotion. While doing some research, I learned that the lotion is specifically designed to aid irritated scalps, fight dandruff and combat dry scalp. That’s exactly what I needed. The brand has a scalp care shampoo and conditioner to go with the calming lotion. I purchased all three, but focused on the calming lotion since my hair was still braided. I rubbed the calming lotion on the parts between my braids. After applying, I massaged my scalp to make sure there was no white residue lingering in my hair. To my surprise, the calming lotion quietly woke up my scalp. There was no minty tingling feeling but I definitely felt the difference once the lotion was applied. It was indeed a calming lotion. After a few hours of the product in my hair, I noticed the flaking and itching reduce a bit. Nothing drastic, but my scalp appeared to be less irritated. To me this meant nothing because I experienced this each time applied oils or moisturizers to my hair. The true test would be in the coming days when those products would usually wear off and resort back to it’s dry, flakey state. For the next 5 days I paid close attention to my scalp. I’m not going to front, I had little faith in the calming lotion. But to my surprise, I didn’t have to apply it again after my initial application. The itching and flaking didn’t stop completely, but it wasn’t as unbearable. I was honestly surprised to find something that worked more than 2 days. I think when I use the Mizani Scalp Care Shampoo, conditioner and calming lotion, I’ll see better results. Overall, I’d say I found a product that will retain the moisture in my hair and reduce the flaking and dry scalp. I wouldn’t call this product a miracle worker, but I do think that it’s gentle formula is packed with nutrients that directly addressed my scalp’s needs. I think the Mizani Scalp Care trio will help clean, condition and moisturize my hair so that my dry, flakey scalp is a thing of the past. What do you think? 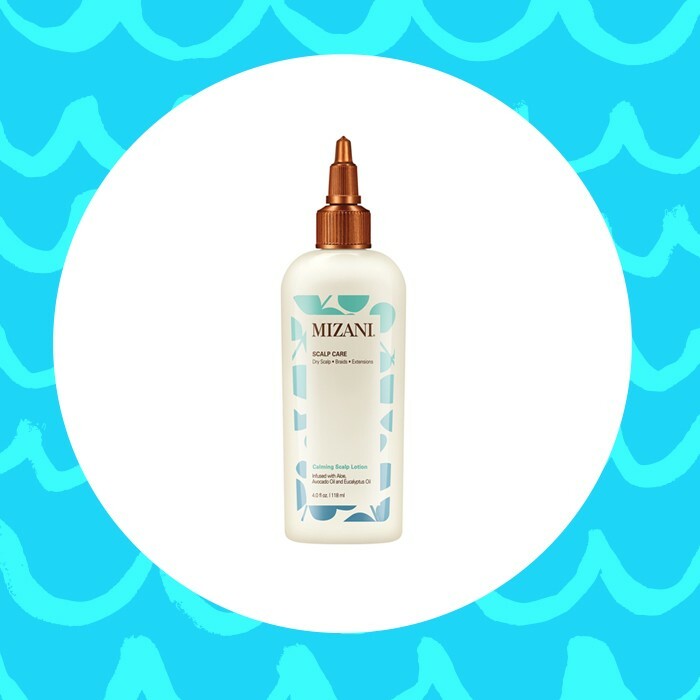 Have you tried the Mizani Scalp Care Calming Lotion? If so, what was your experience? Share with us in the comments below!